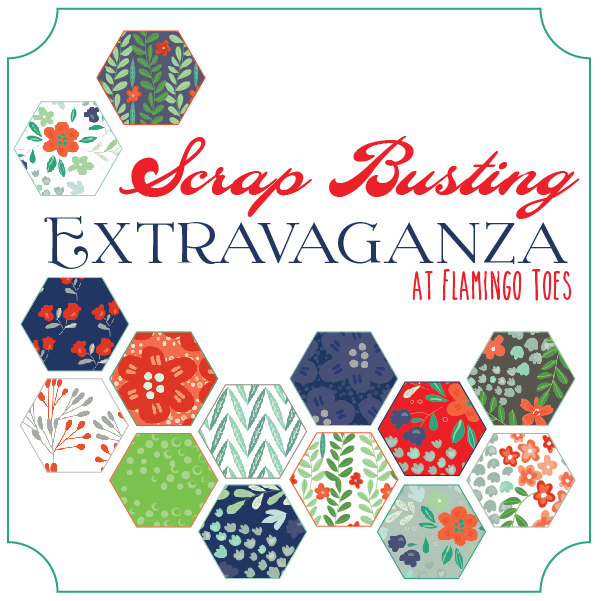 We are nearing the end of the Scrap Busting Extravaganza!! I have so loved seeing everyone’s amazing ideas. And we are not done yet!! Today we have the oh-so-fabulous Kimbo from A Girl and A Glue Gun with us today!! Kim is adorable, funny, and super talented!! 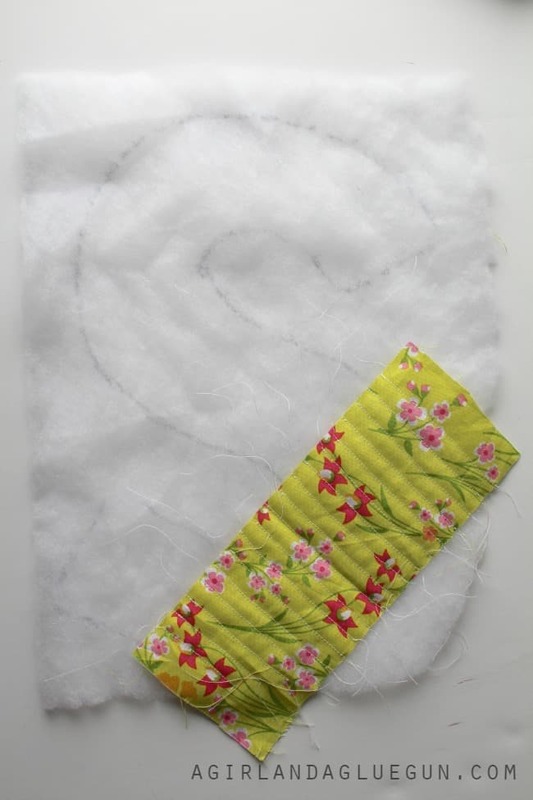 She can do some pretty wizard things with a glue gun – and a sewing machine! 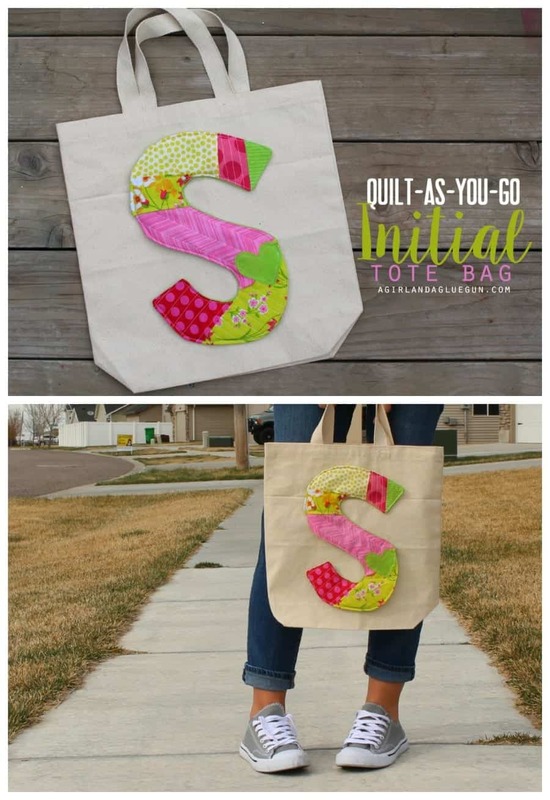 Today’s project is this fabulous Quilt As You Go Initial Tote Bag. I can’t wait to try this super cool technique! I love Miss Bev sooooo much! and I’m so excited to be here! 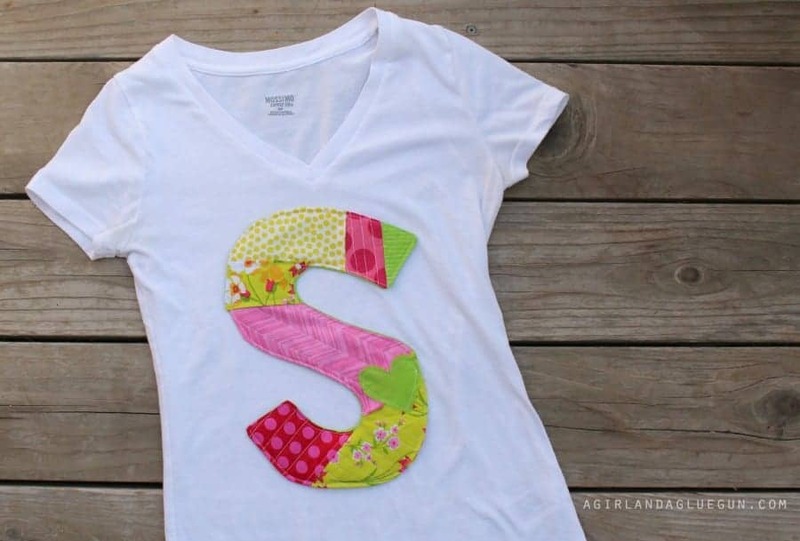 I’m Kimbo from a girl and a glue gun and today’s scrapbuster is actually a fun technique I learned from the cute girls over at Simple simon and Co. It’s the “quilt as you go” that they taught at Snap blog conference last year! and it has branched out in a fun obsession…. 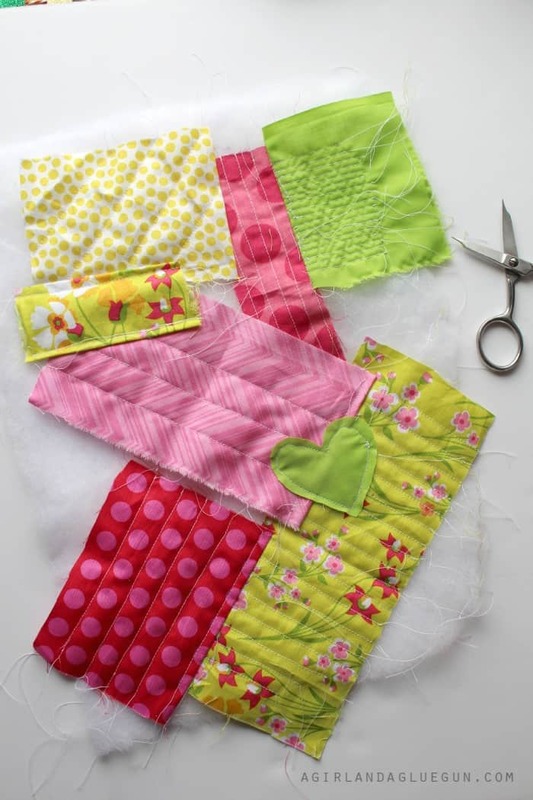 Then lay out how you want it….and sew on the first piece. 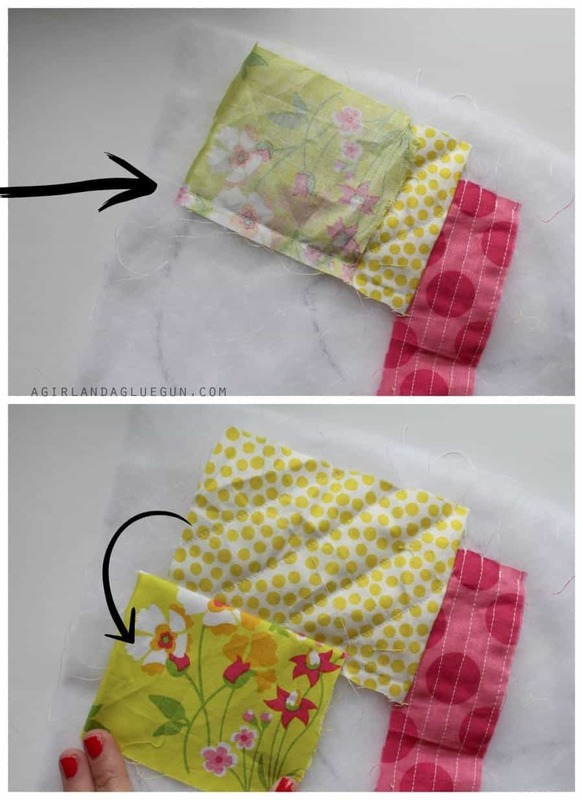 Then start adding pieces…you want to put right sides together and sew overlap and then flip down to keep the edges nice! 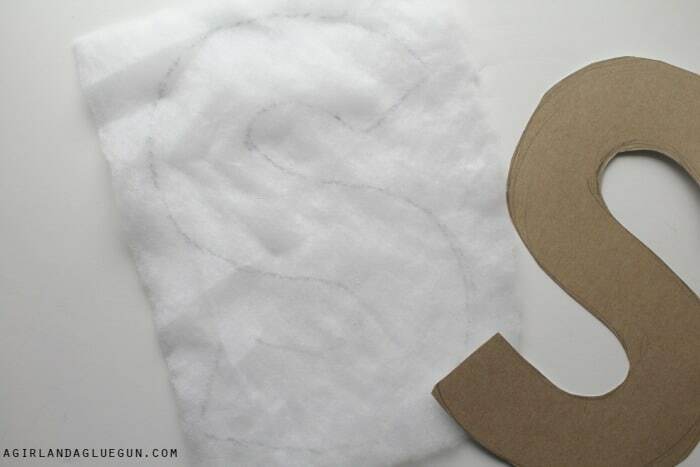 Then cut out your design. 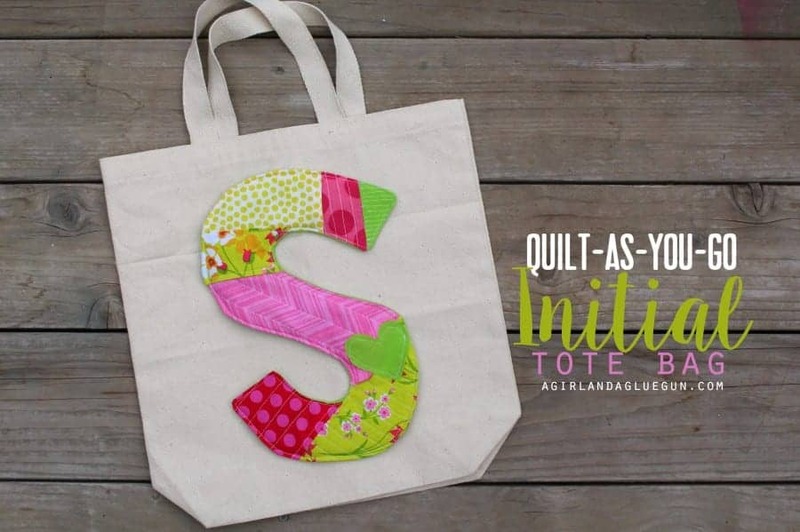 …or put on a cute bag! The sky is really the limit!!! 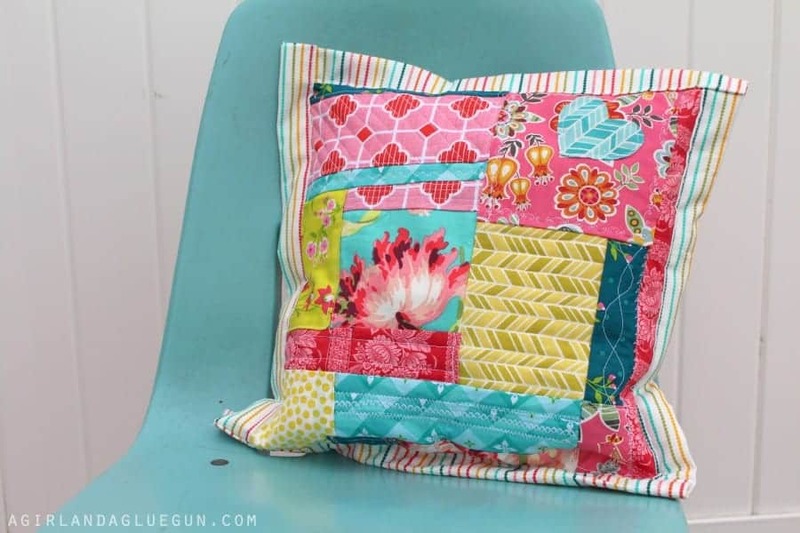 and then I decided to whip up an Easter pillow! 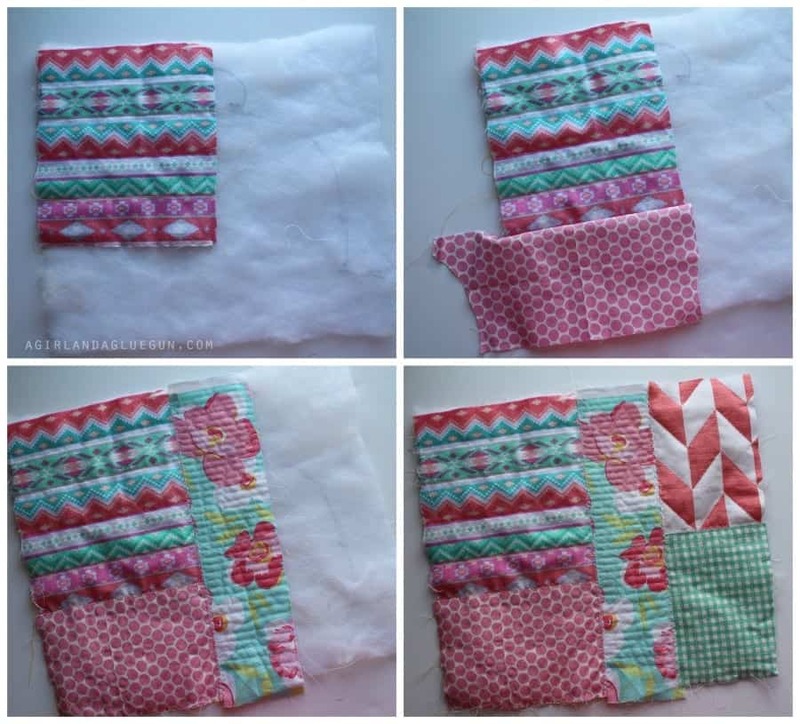 I love using my scraps! 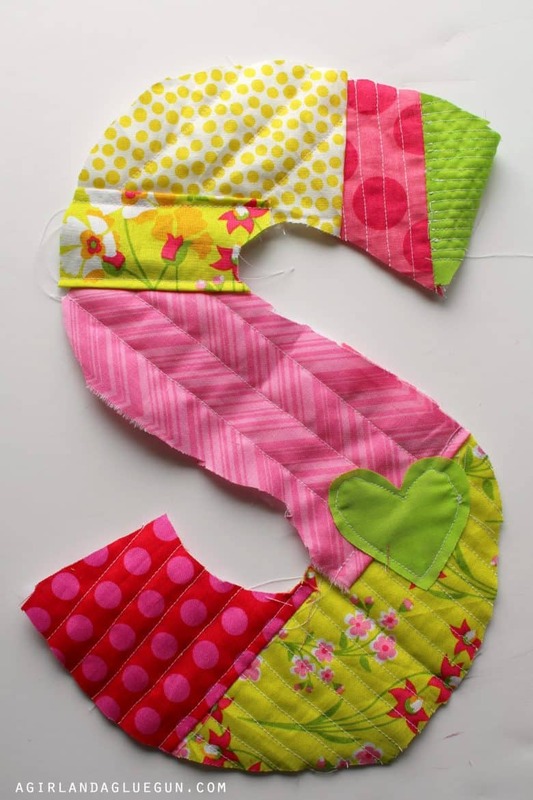 so go sew! Thanks Bev for having me! Oh gosh Kim – this is all so cute!! 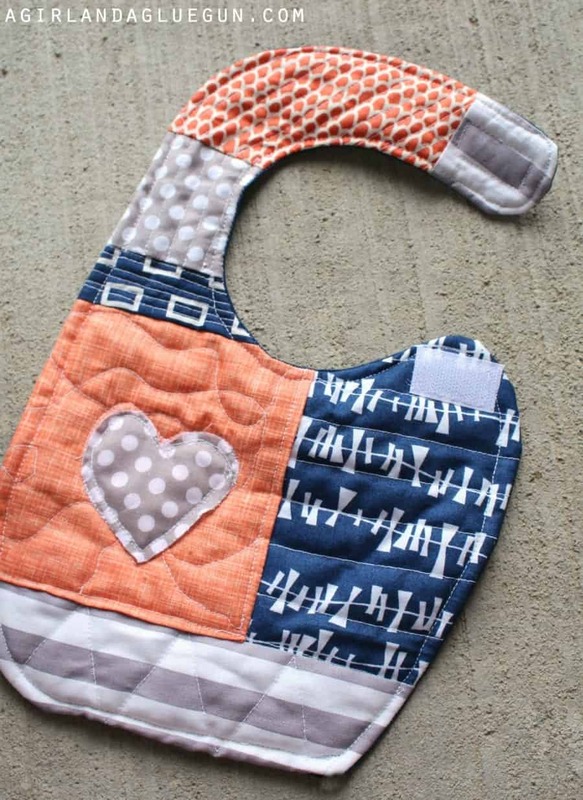 I love the bag, the pillow, the bib – there are so many cute uses for this technique!! 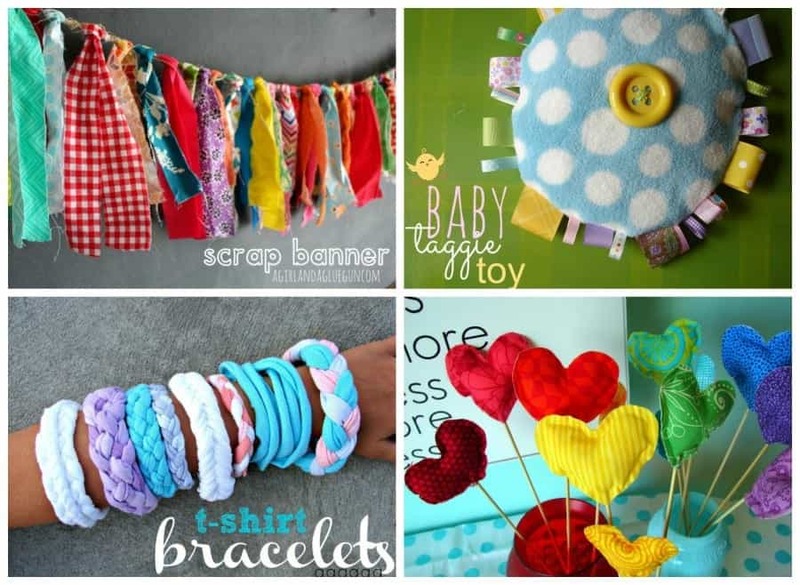 Thank you so much for being a part of the Scrap Busting Extravaganza!! How fun is that!!! I think I could totally do that technique. 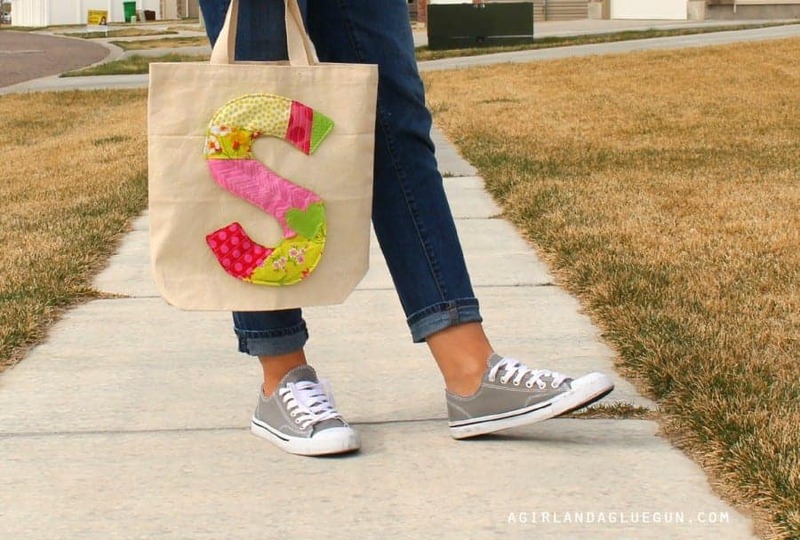 And monograms are my THING! LOVE it!